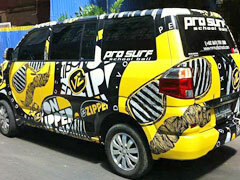 Bali Surfing Pro Surf is located on Kuta Beach. 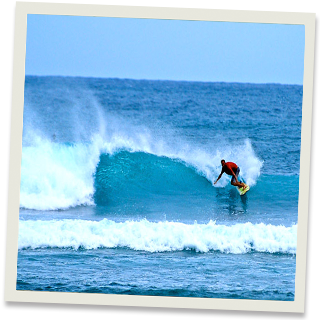 Pro Surf's surf guide is good for imtermediate to expert surfers, and you can enjoy wave in Bali. Pro Surf offers guide service and surfing coach that you can learn surfing technique, so please choose your favorite service. For Intermediate to Expert surfers, Pro Surf's Surfing Guide is available. Their guides know well about wave in Bali, and they bring you to the best wave on the day. Pro Surf offers guide service and surfing coach that you can learn surfing technique, so please choose your favorite service. Transfer from Hotel to Surf Point, lesson by your level! Reliable surf guide who is familiar to ocean in Bali! Guide brings you to lunch place on your request! Clear weak point and question! Coach surfing is also available!! Pro Surf's surfing guide is 2 types of service, bringing you to the point Surf Guide and coaching you at the point Surf Coach. Please choose your favorite service depend on your level and experience. Suitable for experienced & competent surfers. Our surf guide will explain the surf break, and join you surfing for that extra reassurance. Suitable for Intermediate surfers with a minimum of 3 years surf experience. Our surf instructor will explain the surf break, show you how to surf it and coach you surfing. Some students may be required to participate in level 2 or 3 intermediate lesson module to assess surfing ability prior to participating on reef excursions. * If the surf point is far distance, extra charge might be needed. Please contact us. Usually, program is provided by English speaking guide. If you want to request other language speaking guide, please let us know. * Point is changed depend on your level and the tide condition on the day. If it is far distance area, need extra charge. Please contact us.